Are social media unwitting accomplices? Are social media unwitting accomplices?. March. 18, 2019 07:37. by Yong Park parky@donga.com. “Social media are a mass shooter’s best friend,” said American weekly magazine The Atlantic, while “Are social media companies unwitting accomplices?” said American daily newspaper USA Today). 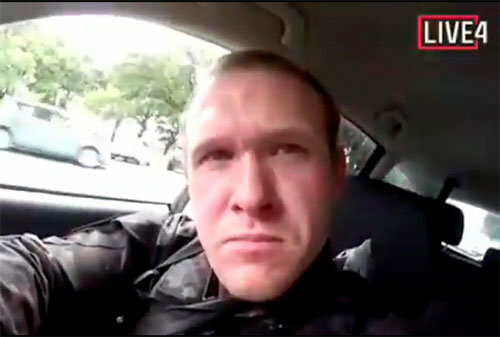 The American press reported Sunday that giant social media companies such as Facebook and YouTube were coming under criticism due to their poor response to the New Zealand shooting on Friday (local time) that killed 50 people. They allowed their platform to become a hotbed of extremists and failed to stop live broadcasting and spreading of a terror video footage. Murder suspect Brenton Tarrant (29) live broadcasted his crime for some 17 minutes on Facebook through a camera attached to his helmet. The video footage was still online several hours after the tragic accident occurred. Social media companies deleted the video later on, but some have already spread it by recording it with their smartphone. Some users were involuntarily exposed to the video due to the relevant information retrieval‎ and auto play functions. “Despite Twitter's earlier commitment to taking down the video I'm still seeing clips, including one shared from a verified account with 694K followers,” said Buzzfeed reporter Ryan Mac, criticizing the delayed response of the social media company. Social media companies argue that they block off problematic content using state-of-the-art detection system enabled by AI and machine learning, but many find the system not effective. Extremists are abusing social media in more meticulous and skillful ways than before, which warrants proactive and comprehensive measures to root them out. Tarrant shared a 74-page document filled with anti-Muslim sentiments on Twitter and extremist image sharing website 8chan before the mass shooting. He had already created an environment for his arguments to go viral before the attack. The document was named “manifesto,” which is why it is difficult to realize what it is about before actually reading it. “Social media companies don’t seem to be concerned about these issues. They are mending the barn after the horse is stolen,” said Sarah Roberts, assistant professor of UCLA's Department of Information Studies. She was especially concerned that these jobs are given to low-level employees, not heads of businesses. “Social media companies should review “delayed broadcasting” options just like public TV networks to handle video content,” said Jennifer Grygiel, assistant professor of communications at the Newhouse School at Syracuse University.